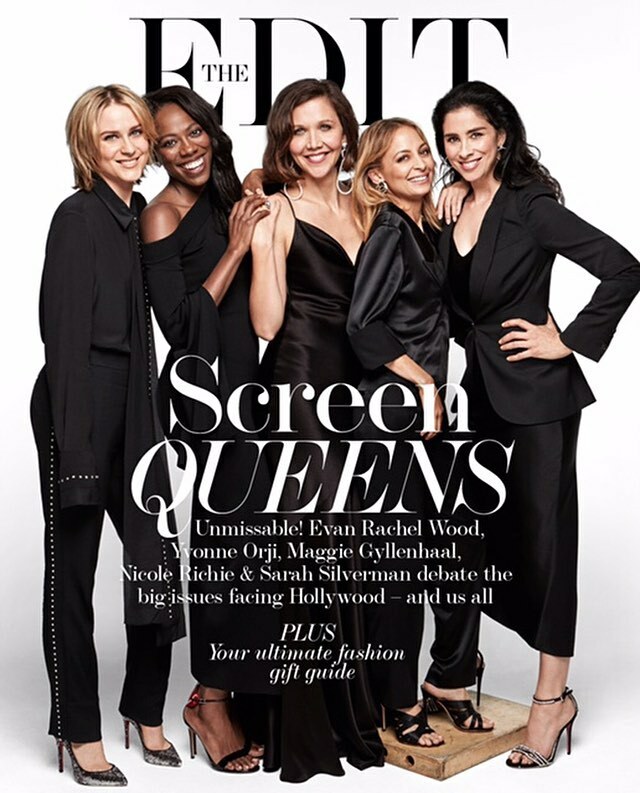 Nicole Richie appears on the cover of Pret-A-Porter’s magazine The Edit, alongside Evan Rachel Wood, Yvonne Orji, Maggie Gyllenhaal and Sarah Silverman. You can read the feature online over at their website by clicking here. There is also a video where the five women discuss what they really think of sexism, diversity and equal opportunities both in front of and behind the camera. Nicole Richie is on the cover of the November 26 issue of You Magazine. The issue is also available free with the Mail on Sunday. Nicole spoke to You about her trouble-making past and how she uses this to parent her children Harlow and Sparrow. Check out the preview below and read the full interview on their website here. The photoshoot featured in the magazine is one by Smallz and Raskind from 2016 when they shot Nicole and Lionel Richie for Legend magazine – however, this introduces a new outtake from the shoot. She is referring to the demands of family life at home in Los Angeles with her husband Joel Madden, lead singer of the rock band Good Charlotte, their nine-year-old daughter Harlow and son Sparrow, aged eight. “It’s like the Olympics: get the kids up, make breakfast, prepare lunches, drive them to school (I volunteer there, so on those days I will stay to read with the class) then go to work” – which might be at home, on set or at a business meeting, depending on her schedule. Nicole Richie will feature in the May issue of InStyle Magazine where she reveals her skin secrets, available on April 14th! She was photographed for the magazine by Billy Ballard and writes the article herself. Nicole also played Never Have I Ever which you can view on the InStyle website. My mom is from the South, and she is not playing around when it comes to lotion—her skin is like velvet. The way she raised me, you never left the house without lotion everywhere. That’s how I am too. I have a friend who has really dry skin, and every time I go see her, I’ll take a heavy CeraVe cream with me and lotion up her elbows. They are so dry. I actually have very dry skin, so I have to keep hydrated. On my face I use Biologique Recherche products: face wash, serum, and moisturizer every day, and a mask a few times a week. In the shower I exfoliate with gloves. I make a scrub with sugar and cucumbers from my garden in the summer, but in the winter I’ll use whatever I can find. Then I put grape-seed oil (Whole Foods’ 365 brand, but any will do) all over my body and the thick yellow Kiehl’s cream over that. I’m a Virgo—I like to stay very organized. I have two trays on my vanity: one for body and hair products and one for my face. They are crowded but not too cluttered. I want to avoid clogging my pores, so I try not to wear a lot of makeup. When I don’t have to be out or working, I don’t put on any at all, except Clé de Peau Beauté concealer to cover up my dark circles. When I was working on my new television show, Great News, I had to wear makeup every day. That was a little tricky on my skin, for sure. Fortunately, I worked with amazing makeup artists who would find gentler products for my skin. I play Portia, who is kind of the anti–news anchor. Portia was clearly hired in an attempt to appeal to a younger audience. She’s young and hip and wears bright outfits. Unlike me, I would say she’s a makeup girl—I don’t think she’s going for the natural look. Harold Lancer is my dermatologist, but I don’t see him a ton. I do facials only every once in a while. For me, less is more. When I mess with my skin too much, it freaks out. My hair is the same way. I have to give it breaks and room to breathe. Also, if I’m not eating well and drinking water, I’ll break out in one second. I sound like a mom when I say this, but it’s less what you do to your face and more how you’re treating your body—the skin is your largest organ. I’m 35, and the older I get, the more it’s about what I’m putting in rather than what I’m putting on. I try to eat cooling foods: lots of vegetables, pretty standard stuff. But I can’t deny myself a lobster taco every now and again, and I’m addicted to hot sauce, even though my cheeks get rosy when I eat it—and not in a good way. Drinking tequila always makes me break out. To recover after a night out, I go without makeup the next day and drink a lot of water. As far as sunscreen goes, I’ve gotten so many confusing messages over the years. I’m of mixed race, so I spent 25 years thinking the rules didn’t apply to me. I don’t sit and bake in the sun, but I can give myself a five-to-seven-minute window and I will definitely get a tan. That’s a dope thing about being mixed race. But I definitely need to start wearing sunscreen more. I’m not amazing at it—having sun is like drinking water to me, and my body really loves it. I have started wearing hats to protect my face. J. Crew makes a cute one I’m always wearing, and I end up buying the same one every time I travel. But I’ll never hide indoors—I still like a little golden moment. Nicole Richie is featured in the March issue of Elle Magazine (USA). The photos were shot by French photographer Jean-Francois Campos. You may read the interview below, thanks to the scans provided by Nicole Richie Fashion. Alternatively, you can now read the interview online here. Nicole Richie is on the new cover of Footwear News magazine, which is out on February 20th. The photographs were shot by Shane McCauley, and Nicole is wearing the ‘Newton Dress‘ by House of Harlow 1960 x Revolve on the cover. Read the interview below, or read online at FootwearNews.com. Between juggling motherhood and a new role on the Tina Fey-produced comedy series “Great News” (debuting April 25 on NBC), Nicole Richie has a full dance card. But fashion remains a priority for this notoriously funny woman, who is equally regarded for her ability to pull off a vintage Dior dress and land a salty joke with aplomb. Her latest venture is a partnership with e-commerce site Revolve on monthly mini-collections of her House of Harlow 1960 womenswear collection. While on set in Los Angeles (with her dog Iro), Richie shared more of her style and career insights with Footwear News. When working on a new collection, what is your creative process? How has your style evolved since your label launched in 2009? Who influences you from a business, career and style perspective? Let’s talk shoes: What do you look for? When you are dressing for a big event, what are some of your secrets? What keeps you happy, healthy and inspired in L.A.? What is one thing nobody should leave Los Angeles without experiencing? 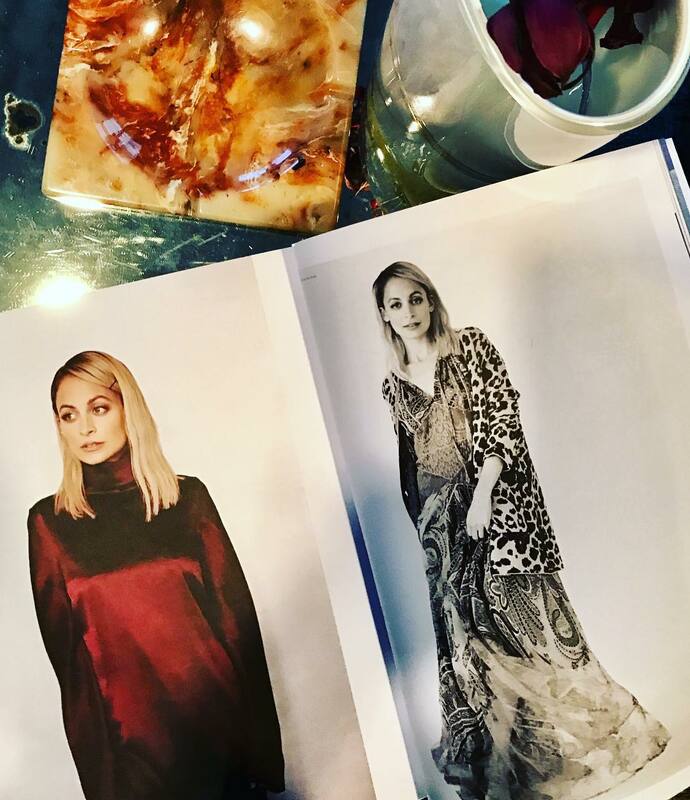 Back in May, I made a post stating that Nicole Richie will be featured in the fall issue of Darling Magazine! It is now available for purchase on their website for $20 – click here. Unfortunately, international shipping is really expensive – for example, postage to the UK costs $22. 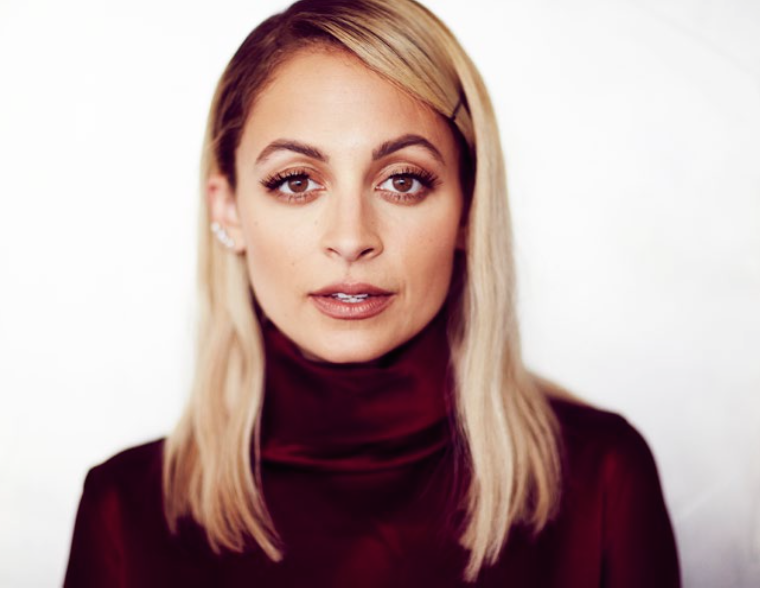 Nicole Richie is many things: Creative Director of House of Harlow 1960, entrepreneur, philanthropist, writer and actress, but that’s barely the beginning of who she is. She rises well before the sun, and spends her days running her own businesses and raising two kids…all with abundant energy and somehow a great deal of poise. When we heard that not only does she do all of this, but also has more recently begun a collaborative event called Pearl xChange, focused on connecting and encouraging women, we were intrigued to find out more about the woman behind the name… Check out the full article in the latest issue of Darling Magazine. Jamie Schneider, who was the stylist for the photoshoot, shared a sneak peak on Instagram. Click on the photo below to watch the video. Nicole also shared her tips on how to dress when you’re only 5’1. “I love to wear [a jumpsuit] while running around with the kids,” she says. PeopleStyle also featured some of this info and more in a Spotlight feature in their magazine! Click on the image to view a readable version in our gallery.